Update 03/20/18: A new bill payment dropbox has been installed in Westmont. Please resume using this dropbox for District bill payments. The District’s bill payment dropbox located in Westmont (in the parking lot north of Village Hall and west of the train station) has temporarily been removed due to damage resulting from inclement weather. 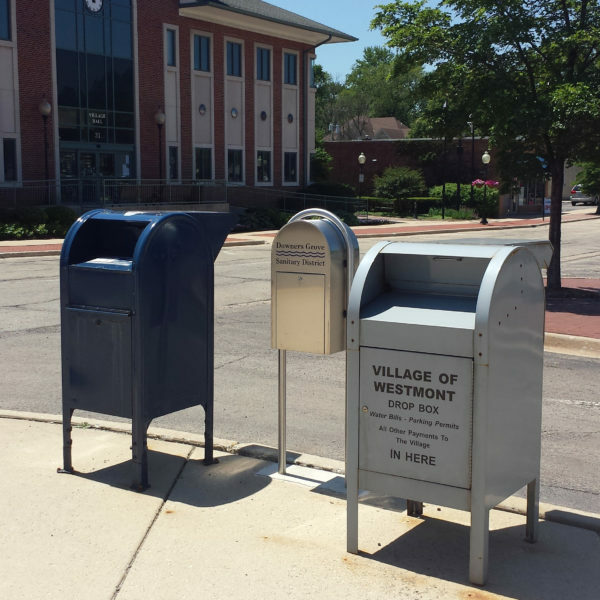 Customers wishing to pay via dropbox should put their payments in the Village of Westmont’s dropbox. The District will be coordinating with the Village of Westmont to collect the District’s payments. The dropbox will be replaced within 8-12 weeks. Customers can also pay their bill by mail or in person at the District office. In addition, customers can pay through our Online Billing Portal or our FREE EasyPay Program. Thank you for your patience and flexibility during this time.